What is Hard Cheese? Hard cheese is cheese that is aged longer, and thus, has a lower moisture content. Being firm—harder—is what makes it a hard cheese. They’re dry and often crumbly. Many of them can be enjoyed by themselves, but being firmer in texture and sharper in taste, they are great when grated for pasta, salads, soups, and more. Here is a short list of different types of hard cheese. Many of the most popular hard cheeses for consumers in the United States are Italian cheeses, but there are plenty more that are from different parts of the world. Some of the more popular Italian choices are Parmigiano and Romano. 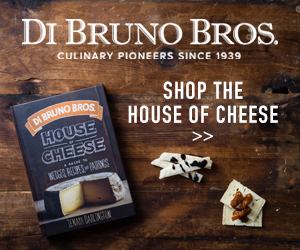 If you’re looking for quality, authentic cheese, I highly recommend Di Bruno Bros. They always provide high quality, at amazing prices. Parmigiano-Reggiano is perhaps the most popular hard cheese in the country. The true Parmigiano-Reggiano—more on that later—is only overshadowed by its copies. Do you think that you’ve never heard of this cheese? I can assure you that you know it. You probably know it by the more commonly used name that’s used to refer to the copies of the original. What’s the name? It’s Parmesan; see, I told you, didn’t I? What’s the difference between Parmesan and Parmigiana-Reggiano? Like I’ve been saying, parmesan is a term used to refer to the unauthentic versions of Parmigiano-Reggiano. How can they be unauthentic? Here, it might not matter so much, but in the European region, this hard cheese has to meet very specific standards for it to use the name Parmigiano-Reggiano legally. According to European law, it has to be made in a specific region in Italy. If you want to try to the real thing, you’ll have to look for the name specifically. There’s nothing wrong with copies, but sometimes, you just want the original, and authentic version. I get them here, when I need the real stuff. When Otherwise, if you’re content with a similar—yet still untrue—taste then you can settle for the generic parmesan. Parmigiano-Reggiano goes perfect grated over pasta and salads. I’m sure you’ve enjoyed it with your pasta many times (who hasn’t?). You can also mix it into soups. Or you can just eat it on its by itself. True Asiago D’allevo is produced only around the Asiago Plateau in the Veneto region of Italy. Authentic Asiago D’allevo will have the DOP designation after its name. DOP means “Denominazione di Origine Protetta” which just means it’s from the protected origin or in other words, it’s authentic—the real stuff. Just like with parmesan, the term asiago is used to refer to generic copies of the original. There are many copies made in the US because of its popularity. Its popularity may be because the flavors are similar to parmesan. Asiago, whether true or generic, is great for salads and pasta. To add an extra kick to your soup, try shaving some asiago and mixing it into the soup. 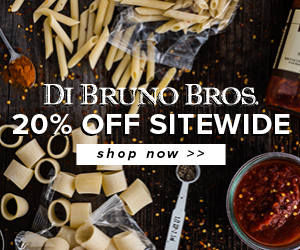 Visit Di Bruno Bros if you’re looking to get some authentic Asiago. Grana Padano is another hard Italian cheese that is similar to Parmigiano-Reggiano. It’s aged between 9 to 16 months and has many uses. You can use it for, you guess it, pasta and salads. You can also enjoy a few pieces by itself. If you want to get the best out of it, try pairing it with some honey lightly drizzled with the cheese. If honey isn’t your thing, you’re not out of options just yet. Your choices are quite wide and varied. Grana Padano goes great with anything that’s sweet, but you don’t want to miss out on dried fruits, slices of apples and figs. Not into sweets? You can also enjoy it with other things for a quick snack or appetizer. Try some olives or even walnuts. Want something a little more filling? Try pairing it with cured meats; they go lovely together. You can order Grana Padano from here. You probably also recognize romano, but just like the others, true Pecorino Romano is only made in specific regions of Italy—thus the full name of Pecorino Romano DOP. Remember that the DOP indicates it is protected and only cheeses with the full name are authentic Pecorino Romano. Just like the other hard Italian cheeses, there are plenty of generic varieties of the true Pecorino Romano. The cheese is made from goat milk and is salt to the taste. It’s aged for at least five months or more to achieve the proper firmness. You can enjoy just like the other cheeses listed above (pasta, etc.) or you can enjoy it by itself. Pair it with something sweet help balance the saltiness of the cheese. Gorgonzola is sometimes referred to as “Italian blue cheese.” It’s firm, crumbly, salty and it also has blue veining. The blue veining is what gives it an extra bite. Enjoy it with your usual pasta and salad. In Italy, it is used to top short pasta; long pasta (spaghetti) is usually avoided. If you’re a pizza lover, you can also top your pizza with Gorgonzola crumbs. This list of hard cheeses discusses some of the more popular types of hard cheese available. Do keep in mind that it barely touches the tip of the iceberg though. There are many more delicious kinds of cheese out there to try. Many of them are not hard and many of them from various parts of the world. You’ve just begun exploring the wonderful and deliciously rewarding world of cheese. Use this list as a place to start and embark on your journey from here.